Georgia Dewakuku Koopee is the mother of noted Hopi-Tewa potter Jacob Koopee. She is a daughter of George and Angelisa Dewakuku and a niece of Garnet Pavatea and Myrtle Young. 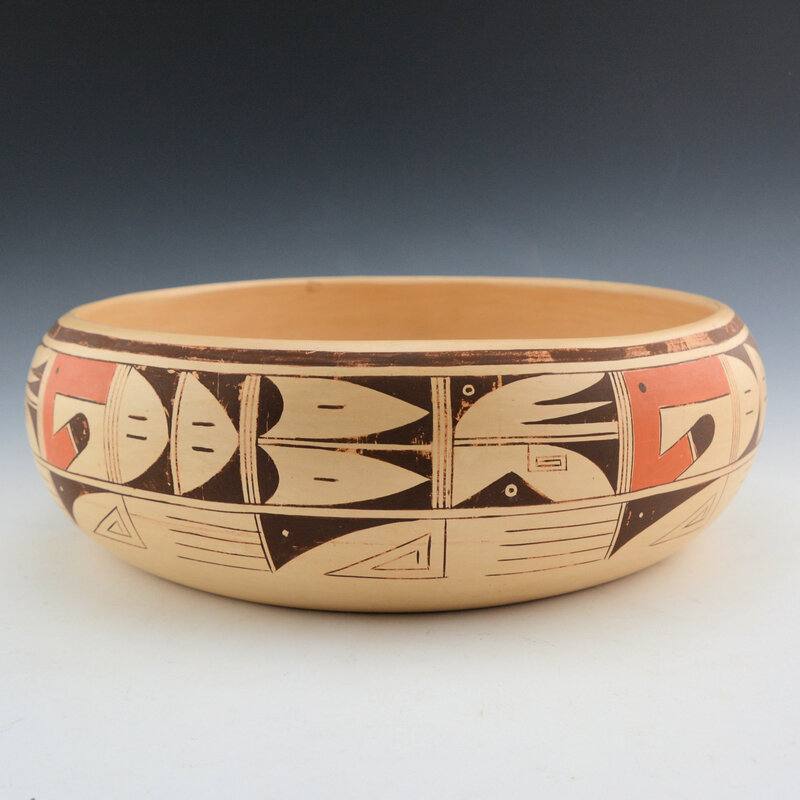 Her sister Kathleen Dewakuku is also a well-known potter. Georgia has not made a lot of pottery and this large open bowl is one of the few of hers I’ve seen. The bowl is coil built and painted with bee-weed and red clay slips. The inside of the bowl has a very intricately designed Longhair Mana Katsina. 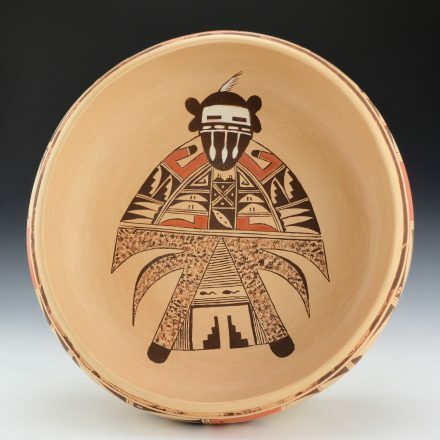 The outer side of the bowl is painted with traditional rain and cloud imagery. 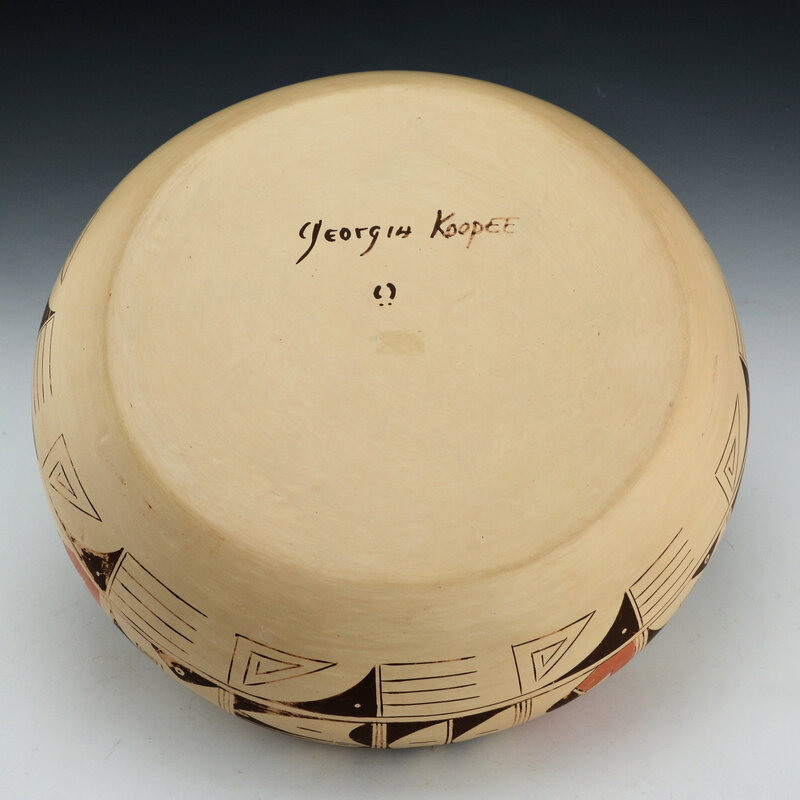 The bowl is signed on the bottom, “Georgia Koopee”. It is in good condition with no chips, cracks, restoration or repair. It does have some fugitive black on the outside but it is in great condition on the inside. Why does the black become fugitive? 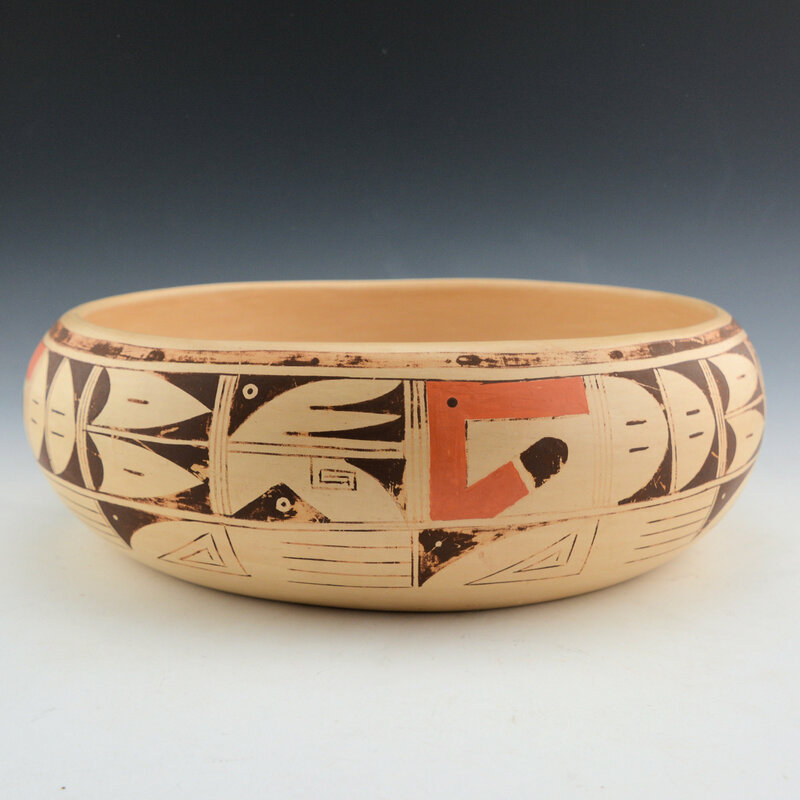 It is often the result of how it is painted onto the piece before it is fired and if it is painted on too thick it will come off after the firing. It’s not “wear” it’s just that the bee-weed black didn’t adhere to the surface of the clay.